Today, the World Health Organisation’s (WHO) International Agency for Research on Cancer has released a report warning that bacon, ham and sausages are as big a cancer threat as cigarettes. Experts at the Agency have ranked cured and processed meats amongst the top 5 most carcinogenic substances to humans as alcohol, asbestos, arsenic and cigarettes. 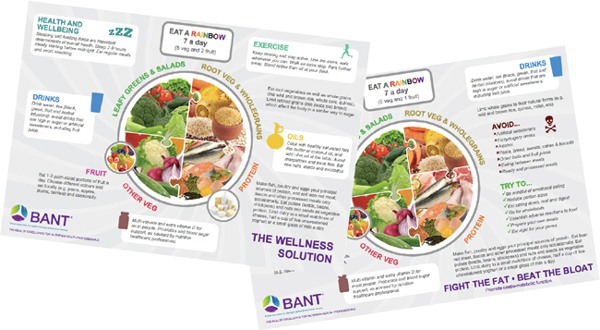 BANT’s Wellbeing Guidelines provide the most up-to-date nutrition and lifestyle recommendations based on the latest scientific evidence, which sadly has been ignored by the “EatWell Plate”. Cancer is a complex disease of multifactorial aetiology, but the evidence points to the fact that minimising nutritional contributing factors is likely to have beneficial effects. BANT is delighted that the recommendations published in the Wellbeing Guidelines are echoed and ratified by the World Health Organisation. Welcome to the October issue of the BANT News. This month we have an exciting new role within BANT to report, some great new member discounts, and don’t miss our Chair’s Report to find out how positively the Wellbeing Guidelines have been received…Enjoy! Access the BANT news here. Welcome to the October issue of the BANT News. This month we have an exciting new role within BANT to report, some great new member discounts, and don’t miss our Chair’s Report to find out how positively the Wellbeing Guidelines have been received…Enjoy! BANT has secured a 30% discount for the 2-day Klinghardt Institute congress on the subject of autism with Dr Dietrich Klinghardt, and supported by Professor Basant Puri, Dr Daniel Goyal and other leading experts. Dr Dietrich Klinghardt MD, PhD has a thriving practice near Seattle, WA and specializes in chronic illness. He has been working with autistic children for over 25 years and is considered a pioneer in this area by many specialists.